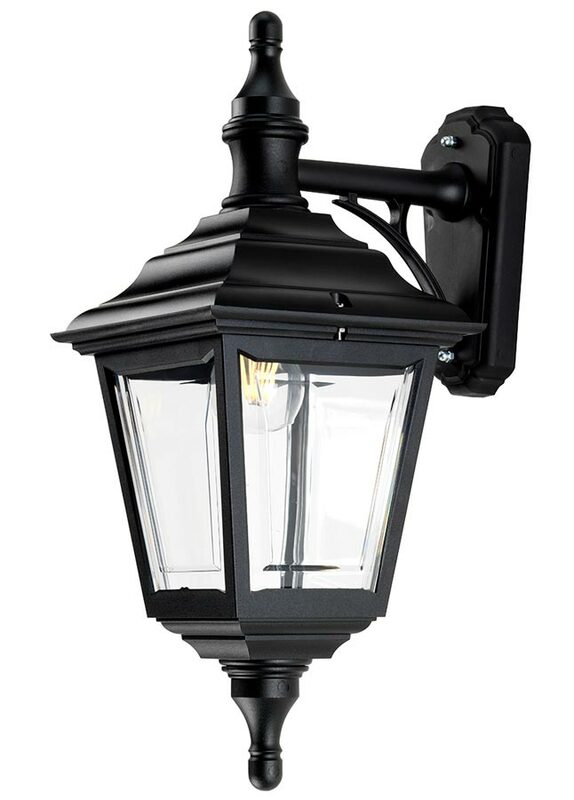 The Elstead Kerry corrosion proof 1 light outdoor wall lantern in black is rated IP44, traditional, functional and stylish. Featuring braced wall mount and tapered lantern, with stepped roof, bevelled edge polycarbonate panels and finial. Can be mounted with the lantern facing up or down, please see images. Part of the coastal collection and supplied with a manufacturers 20 year anti-corrosion guarantee. 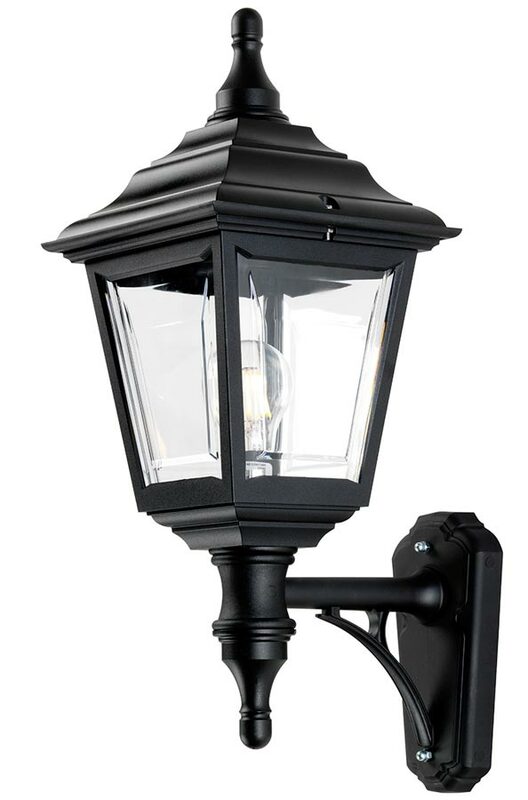 This rugged light is supplied by Elstead Lighting, a British company that specialise in the manufacture and distribution of quality decorative lighting such as the Kerry corrosion proof 1 light outdoor wall lantern in black and rated IP44 you see here.